My children usually have the unfortunate task of sitting next to me during sporting events. I say unfortunate because I am pretty passionate about my sports and my kids love to impersonate my irrational behavior when I watch my teams play. I jump, yell, and even, on occasion, dance. All to the laughter of the tiny people that sit around me. And sometimes, I even get mad. And those moments of anger are usually directed at an official that I believe blew a major call. 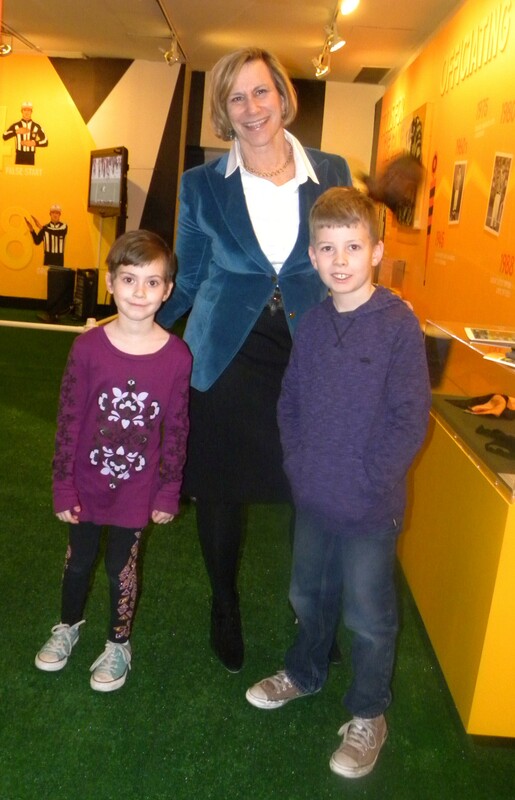 Which is the reason I was afraid, when I stepped into the Children’s Museum of Manhattan (CMOM) for the “You Make the Call: Learn to be An NFL Official” exhibit, that I was being set up for a referee intervention. When I saw Dean Blandino, NFL VP of Officiating, standing in the room when I arrived, I was sure that my words had somehow reached the ears of the people in stripes. I made sure to stay clear of him in case he wanted to take a swing at me. 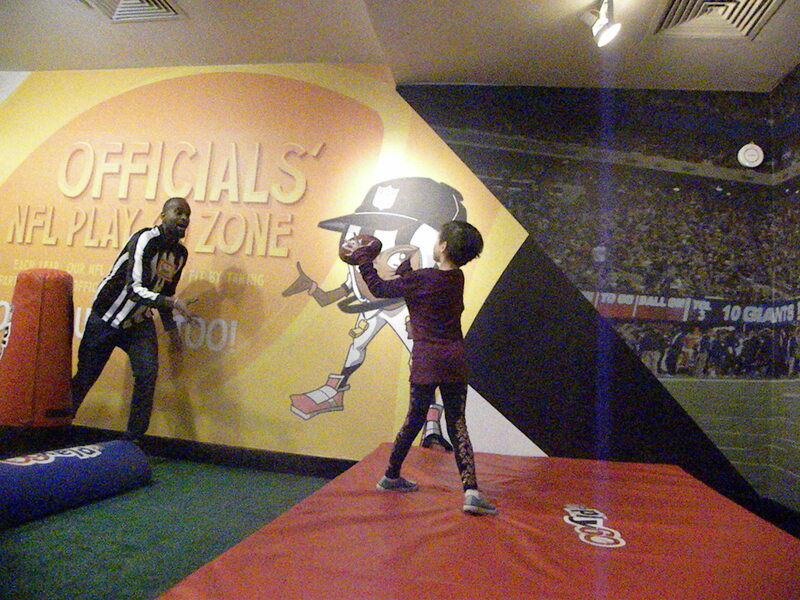 It turns out the exhibit isn’t an intervention for loud sports fans like me, but a great place for kids to get a small glimpse into what a referee does, even as it celebrates New York/New Jersey hosting Super Bowl XL VII. Among some of the football related things kids learn are signals and their meaning. The kids learn the signals through a dance called “Zebra dance,” which my kids now will be doing at every game. 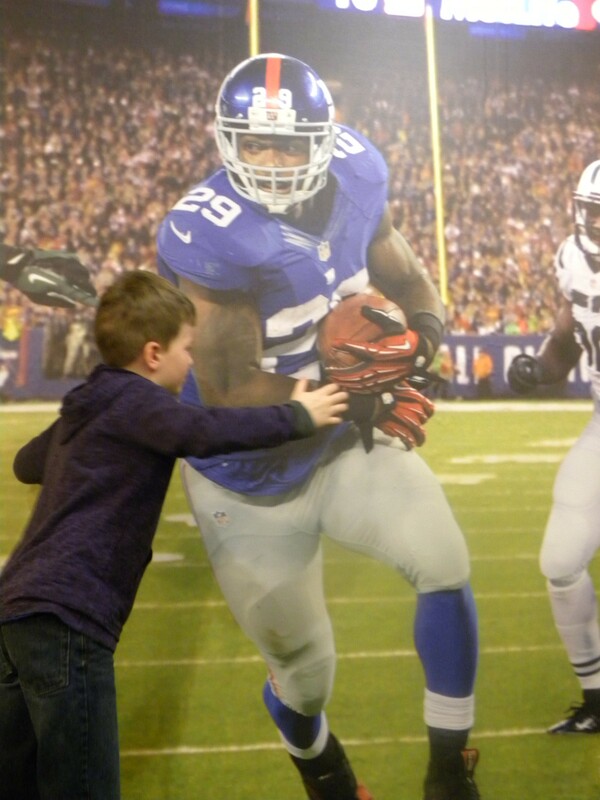 Kids also have the opportunity to “go under the hood” to get a taste of what it is like to review an instant replay. The highlight for me was the obstacle course. 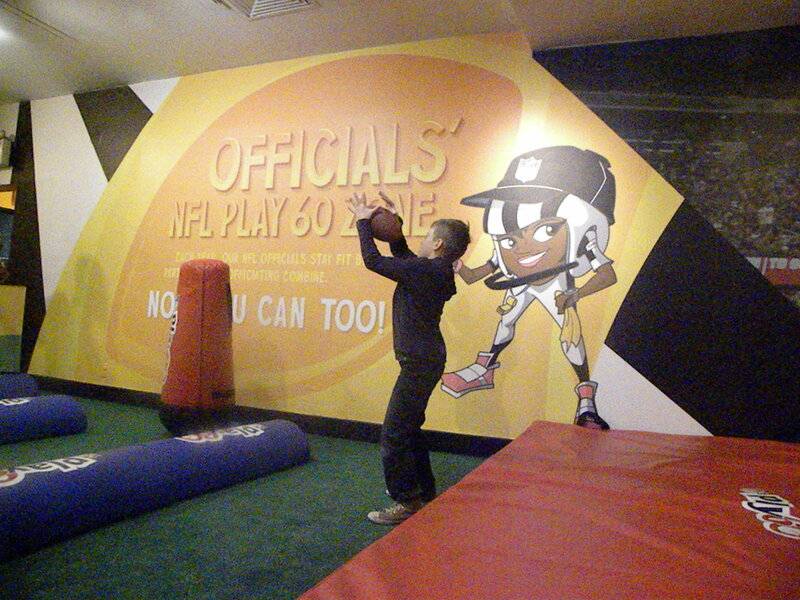 There’s a small obstacle course where kids can catch a football or run with it to score a touchdown. A couple of dummies stand in the way for those kids that love a good game of contact football. Along with the obstacle course, there also are crafts for the kids to do. Mine made yellow penalty flags. I am sure the next time I raise my voice towards an official on TV, my kids will remind me of our time learning about officiating and all the responsibilities they have. Then, they will probably do the “Zebra Dance,” and, to be honest, I will probably join in.